A short time ago I was reading this article in the R&D Mag online. 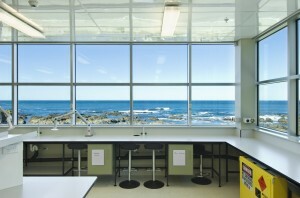 Titled ’Pre-designing your lab for sustainability’ it makes a number of relevant points when thinking about laboratory design. Although it appears to be aimed at university type projects the points it makes is certainly relevant to all laboratory facilities of all types. Especially where it confirms that laboratories can consume up to 50% more energy than office buildings of a comparable size. 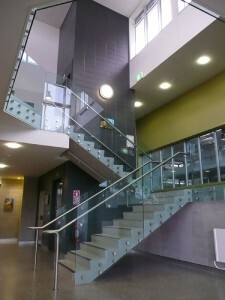 As issues of sustainability, energy use, lifetime costs and environmental impact continue to increase in order of importance, the earlier these issues are discussed and incorporated into the working brief for any new or re-developed facility the easier they are to be realised in the completed building. In the article it talks about the US Green Building Council ’LEED’ programme, or Leadership in Energy and Environmental Design, as an internationally-recognized green building certification system. In New Zealand we have the NZ Green Building Council which runs the Green Star certification system for commercial buildings. This provides a similarly recognised way assessing and certifying buildings in the New Zealand context. Certainly in my experience as a laboratory architect I would have to agree that the earlier all aspects of the laboratory design are incorporated into the brief the better the end result will be. This includes the need to carry out a full review of current and future needs, an analysis of space utilisation, commonality review where the ability to share resources is looked at, as well as consideration of the environmental conditions required. The more information you have about your actual needs versus your nice to haves the more efficient the final result will be. Not only for the size and operation of the building but also for the science and functions carried out within this environment. In the past we have conducted these reviews for our client as a part of the briefing process. Especially the need to establish the size, relationships and environmental conditions the spaces need. Equally we have worked with a number of clients who have the staff and expertise to carry out these sorts of reviews and analysis themselves as a part of their planning process. However, what has become very apparent is that you need the right people with the right experience (or ability) to do this pre-work. Whether it be outside consultants or in-house staff, the biggest impediment to the success of a project has been the quality of the data that is used to inform the brief, that ultimately flows on into the facility design. Add into this a layer of energy and building efficiency and the importance of pre-design and preliminary design is increased. As a result we have developed a very robust and comprehensive briefing process, which includes questionnaire sheets to ensure as much information as possible is extracted out of the client’s head and onto paper, so it can inform the design. As I sit here watching the snow fall in central Wellington, one example of this comes to mind, which included thinking a bit outside the box,. 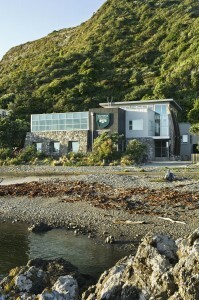 The Coastal Ecology Laboratory for Victoria University, sits on the south coast, overlooking Cook Strait. Here they run numerous experiments using sea water inside the facility, which is pumped straight out of the sea across the road. This gave us the opportunity to install the first commercial sea water heat recovery system. Recycled seawater from the laboratory experiments is circulated through the heat pump to recover energy, which is then used in radiators throughout the building. Combined with other smart design features, the energy consumption is reduced by over a third. At least with this system, it won’t shut down in extreme cold like heat pump air conditioning systems have a habit of doing. The best advice is to ensure that you allocate enough resources to get the information needed to make informed decisions on the brief and design of the facility. It is a hang of a lot cheaper to incorporate features or make changes in the design process than it is when the building is half completed, or even worse, having to put up with issues that create operational problems for the lifetime of the building.